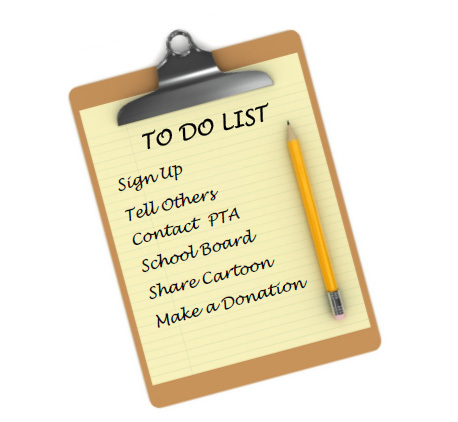 Once signed up, tax deductible contributions can be allocated to a specific public, charter or private school. “Is that what it will take to get Professor Know-How’s lab into my kid's school?” Well, not exactly. Fortunately, luck doesn’t have anything to do with it. You, however do and can get the ball rolling today. Our program often begins with a parent or concerned citizen starting a grassroots effort to get the program into a local school district. So the first thing you need to do is sign up. We’ll send you a kit that includes everything you’ll need to get started. Actually, you already have one of the most powerful tools already at your disposal. That tool is the website you are visiting right now. The cartoon you saw is perfect for sharing on social media and for viewing on smartphones. The Technology Learning Center created Professor Know-How's Lab with the goal of making it available to every kid in every school across America. In furtherance of that goal, TLC has invoked a "sister school" concept to ensure that no school is left out. When you sign up for the program, you are also helping to get a program started at a "sister school". We look at our schools as if they were boats floating on one big pond. Our mission is to raise all the boats so that kids from America's biggest cities to its smallest towns can benefit from our program. 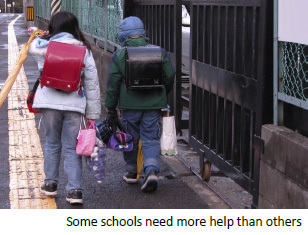 "Sister schools" often lack the local resources to fund the TLC program or are historically handicapped by other issues that result in lower performance. The adoption of "sister schools" provides an excellent opportunity to bond with a school outside the local community. To a greater extent, it creates yet another vehicle to experience the joy of philanthropy by enlarging and redefining our sense of community. You can suggest a school for adoption by clicking below. It only takes one person to make a difference. And you could be the one person that can get things started at your school.